Directors of the top 100 listed UK companies now earn 120 times the average sum earned by their employees, according to a report by Incomes Data Services (IDS). Executive pay has escalated far faster than average pay. In 2000, bosses of top companies earned 47 times more. IDS said a director now typically earns £2.43m a year. 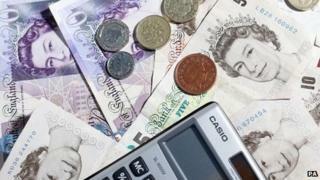 Official figures put the average annual salary at £27,000. This year bosses' pay rose by more than a fifth, IDS said. IDS said the rise was driven by a 44% rise in share awards, which were given as long-term incentives. Bonuses were also up, by 12%, although basic salaries were £822,300, up by a far more muted 2.5%. That, though, is still some three times the size of average wage rises. The latest official figures show that, excluding bonuses, average earnings in the May to July period rose by 0.7% from a year earlier; including bonuses, they rose by 0.6%. The IDS report shows that the long-term impact of years of high earnings growth has widened the pay differential between FTSE 100 chief executives and the rest of the workforce. It found that between 2000 and 2014 the median total earnings for FTSE 100 bosses rose by 278%, while the corresponding rise in total earnings for full-time employees was 48%. Steve Tatton, editor of the IDS report, said: "The pattern of pay growth highlights the complex make-up of directors' remuneration. "Salary rises may be modest but this can be more than made up for by the receipt of incentive payments. When such incentives pay out, they can pay out substantial sums, giving a significant boost to directors' earnings." The best paid chief executives were in media, marketing and telecoms, while the lowest were in retail and distribution.